I’ve made tremendous progress in this area, but I certainly haven’t reached the pinnacle of alignment. There are plenty of incongruencies I have yet to resolve. Whenever I experience uncertainty in some area, I look for ways to conduct personal tests. It isn’t enough just to write down a goal and work to achieve it. It isn’t even enough to create a mission statement and live your life in accordance with it. How do you know whether your mission and goals are intelligent to begin with? Haven’t you ever set a goal you later realized was stupid or pointless? Will future historians summarize your entire life with the label “misguided?” How do you know you won’t look back on your current goals a decade from now and conclude that you were on the wrong path all along? What a waste of time and of life to put so much effort into achieving goals that ultimately won’t even matter. 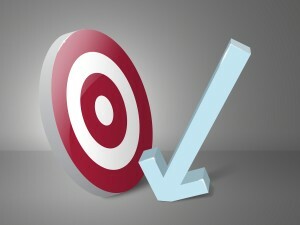 Accuracy is the standard for knowing whether or not your goals are well chosen. If your goals are based on the most accurate model of reality you can muster, then you have nothing to worry about. You’ve done the best you can, and you can expect no better results. But accuracy isn’t remotely easy. This is why many of my goals are directly targeted at increasing the accuracy of my beliefs. I figure that if I don’t understand reality well enough to be confident that my goals make sense, then my first priority should be to increase the accuracy of my current mental model of reality. To the degree my model seems accurate, I act within it, but when I find incongruencies, I refine the model itself. Sometimes I find my model so broken that I must discard it completely and rebuild a new one from scratch. The ultimate test of your model of reality is reality itself. Now while you may not want to dedicate your whole life to the pursuit of accuracy, I think you’ll realize substantial improvements in your time management by moving accuracy to the top of your time management philosophy, as opposed to efficiency, effectiveness, or some other standard. Whenever you have to make a tough decision about how to use your time, take a step back and revisit your current understanding of reality. What do you know to be true? And what does that truth dictate is the correct course of action for you? Once you know the correct course of action, then you can strive to get it done effectively and efficiently, and that’s where modern time management systems can be of use. Although it’s very hard to know when your beliefs are accurate, it isn’t as difficult to detect inaccuracies, so focus your improvement efforts there for starters. Symptoms of inaccurate beliefs include chronic procrastination, mixed emotions, lying, self-sabotage, setting goals that fizzle, fear of failure, fear of rejection, timidity, depression, anger, frustration, resentment, and wearing excessively baggy pants where the crotch is down to your knees (you do NOT look cool in those; you look like a dolt). It’s usually not that difficult to identify incongruencies in your beliefs. You probably have lots of them, but you may have been taught that it’s just normal to feel incongruent. I’d say it’s common, but it’s not normal. I think it’s more normal and natural to be congruent. Having mixed feelings is generally an unpleasant state. When you experience this sensation, take some time to privately journal about your feelings on both sides and explore them as deeply as you can. Most people don’t go nearly deep enough. Eventually you will uncover a new truth that you’ve been unwilling to face. For example, as I previously explained, I had to face the reality that I didn’t want to spend my life working for someone else, but I still had to earn money to meet my needs. I admitted that both of these were true (my inner feelings and the external reality), but they were incongruent. And that allowed me to devise a congruent solution that honored both sides without forcing me back into a state of incongruency. I opted to find a way to make a good living without needing a job. It was hard in the short term but much easier in the long run. Inaccurate beliefs don’t serve you, so dump them whenever you can. If you take care of the highest level of time management (accuracy), the other parts have a way of taking care of themselves. My purpose, mission, roles, goals, projects, and actions all filter down from my current understanding of reality. Based on my understanding of reality, my purpose is clear. Based on my purpose, my mission is clear. And so on down the line. Clarity at the top creates clarity at the bottom. There is still plenty of room for choice at the lower levels, but it’s like picking options for a new car you purchased. The big decision has already been made, so the details just aren’t going to matter all that much. The details will control the flavor and texture of your life but not the essential nature of it. When it comes to time management, the accuracy of your beliefs about reality will basically dictate your results. It doesn’t matter so much what particular system you use. As you strive for greater accuracy and congruency, be patient with yourself. This quest for greater accuracy is ongoing. I’m not sure human beings will ever reach the pinnacle of accuracy — that would require that we become gods. There are always more inaccuracies to eliminate, more experiments to conduct, more pieces of data to integrate. The important thing is not to settle. Don’t settle for conflict in your life when you could achieve congruency. Sometimes it will take a year or more to replace conflict with congruency, such as in the case of divorce or career changes, but that time is going to pass anyway, so you might as well put it to good use.